We are always surrounded by a sea of sound. There is not a minute of the day when we cannot hear some sound. To get an idea of how big and important a part of sound plays in our lives, imagine what the world would be like without sound. Imagine yourself on a busy street where traffic moves silently, with engines running soundlessly. Although there are many reasons why it is important, for example; sound allows humans and animals to hear and communicate. It also plays an important role in our daily life especially in entertainment which comes in the form of music. Sounds occur in a variety of waves, which have different characteristics and produce different types of noises.These noises can be used in a lot of ways which can benefit and be used in different applications such as in aviation and loading docks. 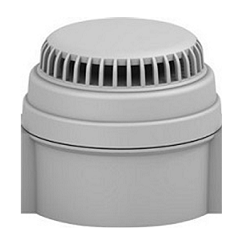 Last week, we discussed the MDS-1 Motor Driven Siren, which is an example of audible warning signal devices. We have discussed that audible warning signal devices are used to enhance and maximise the effectiveness of warning signal lights, and to add additional security and safety precautions for working stations such as in loading bays/docks, in order to avoid unnecessary accidents from happening. And so for this week, we will briefly discuss in this article about the different types of audible warning signal devices that are commonly used today. Horns – Horns are sound-making device that can be placed to vehicles such as motors, buses and bicycles. It produces a sound that is similar to a honk. Horns are used by vehicle operators to warn others of the presence of an incoming vehicle or to call someone’s attention. In some countries, motor vehicles, ships and trains are required by law to have horns as an audible warning device. 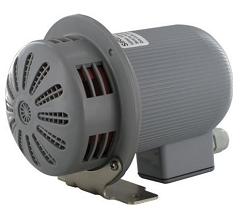 Sirens – Like horns, sirens are loud noise making devices. When a siren alarms, it gives a signal or warning to people around the area. 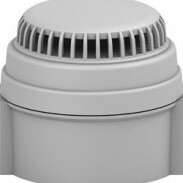 Civil defence sirens are located in a specific fixed location and are used to warn of natural disasters or attacks. It is also used in vehicles such as ambulances, police cars and fire trucks to alert nearby people that these vehicles are fast approaching. They are also used in loading bays to manage the traffic flow within the facility. Buzzers– Buzzers are audio signalling devices which may be mechanical, electromechanical, or piezoelectric. Buzzers are based on an electromechanical system identical to an electric bell without a metal gong. A relay may be connected to interrupt its own operating current which causes the contacts to buzz. These units were often anchored to a wall or ceiling so it can be used as a sounding board. Alarm Systems – An alarm system is a basic operator support system for managing abnormal situations and it has the following two functions. Its primary function is to warn the operator about a situation that is not normal and its secondary function is to serve as an alarm and event log. The system will inform the operator about the facility’s conditions that require timely assessment and possibly corrective action in order to maintain goals in terms of safety, productivity, environment and efficiency. On the other hand, the log function of an alarm system is to support the operator’s need to analyse the events that leads to the current or previous process conditions. Alarm devices are often outfitted with a siren. It has the potential of causing an unnecessary response in humans. Normally, a person will panic and flee the perceived danger or try to eliminate it, often ignoring reasonable thought in either case. 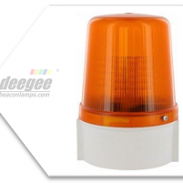 Audible warning signal devices are widely used in different applications around the globe especially in places where traffic flows are heavy and in working facilities where warning signal lights are not enough to control traffic. It is suggested that every working facility should have the maximum level of security especially when it comes to safety precautions. It is said that the best investment for every business is to ensure safety and avoid accidents; not only the safety of working personnel and employees but also the safety of the products/goods and of course the facility’s equipment.